It's March! Yes… that means that we are getting closer to SPRING! I am looking forward to everything blooming! 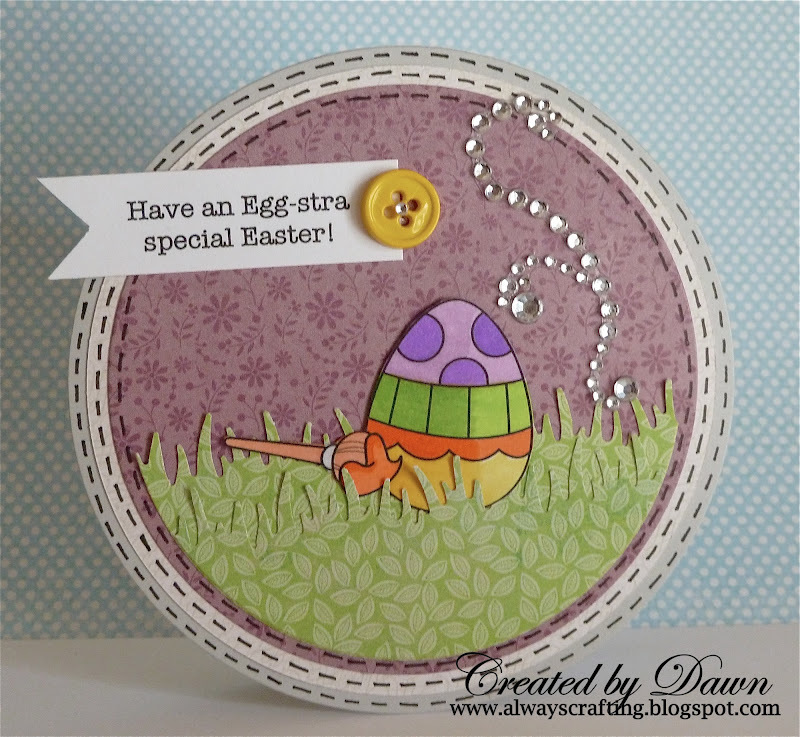 Today I made a card using a Whimsie Doodles Freebie. Such a cute Easter image! Oh why do I have to be on a diet, all the shops are full of chocolate eggs at this time of year!! Great job Dawn - very pretty. 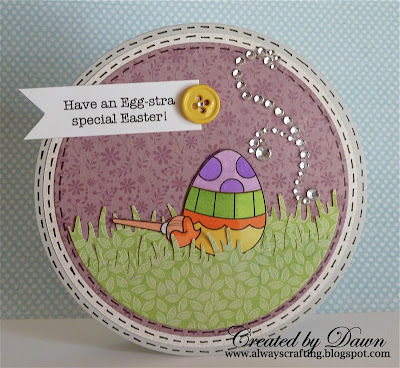 I can't wait for spring to arrive Dawn, love your card the colours are lovely and the image is pretty.